A tradition which mainly is seen on the luxury boats and is often the crown of the hard work of getting your ship. In this article I will talk about how I gilded this a cobalt blue boat with gold leafed engine turned letters. 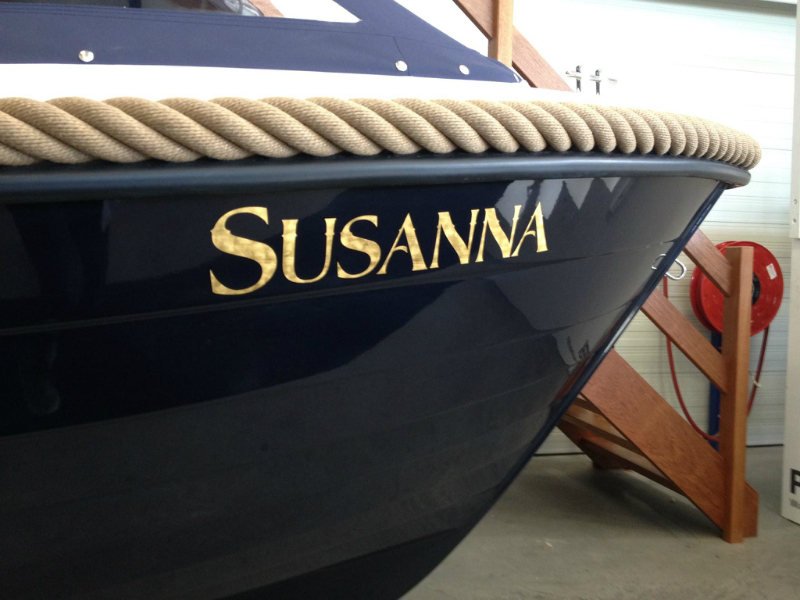 The name, usually the culmination of all the work , the moment a owner will take a few steps back from the quayside and will admire with pride and pleasure. It is precisely these moments , these types of tiny things like putting on a name should not be rushed , but chosen with extreme accuracy and sense of value and style . 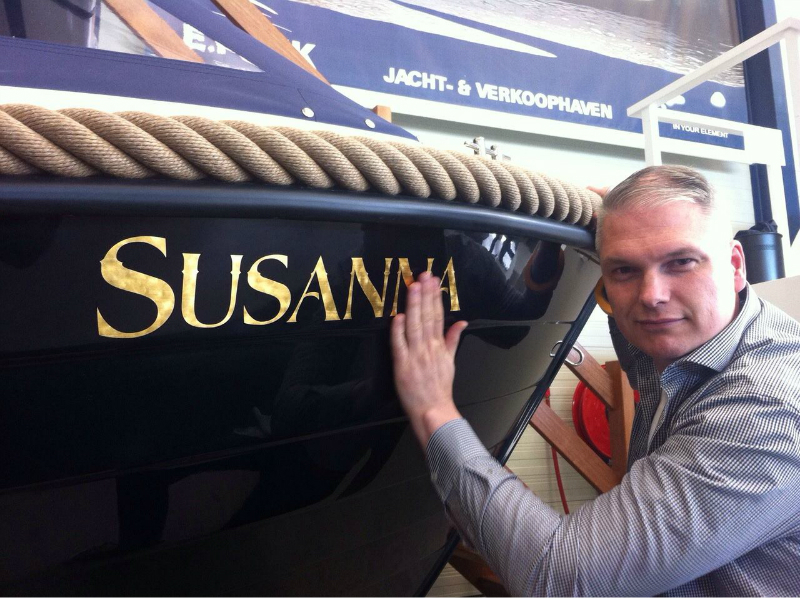 Schitterend is able to put your name and harbourlocation on the back and the two sides in gold leaf . The Gold Leaf will be engine turned as additional treatment allowing to enjoy all sides of the brilliant golden light reflections.